Don't know exactly what they've got in the water in Minneapolis-St. Paul, but whatever it is, it's got folks making really catchy, melodic rock music. In addition to MN rockers Rogue Valley, who inspired a WYMA post earlier this week, Joey Ryan and the Inks (who were also featured on here a while back) have got a new one, Dennis Lane, coming out July 30. Extremely catchy and well-crafted, Ryan's band does pop-rock as well as anybody playing today. In the reviews on the band's website, there are some comparisons to the Beach Boys, and I guess in terms of melody and the harmony vocals, there's a comparison to be made, but I don't think that's the first place I'd go for a comparison. 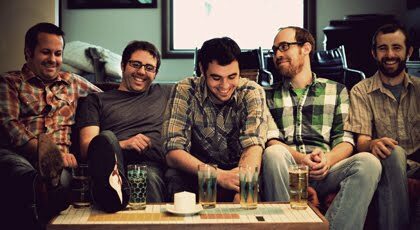 To me, Joey Ryan and the Inks' music more calls to mind some of the great Southeast pop rock titans like the dB's, Let's Active and the Connells, and later, Superchunk. There's even a little bit of R.E.M.-style jangle. 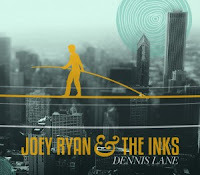 Dennis Lane is a good listen from start to finish, bright and sunny in places, rocking in others, easy on the ears without being insubstantial. While very catchy on first listen, it stands up very well to repeated play. The songs are all well-done, the rhythm section is strong, there's a very pleasing variety of guitar sounds... and Ryan is a great singer for this type of music. I just heard their song for the Nature Valley commercial and it stopped me in my tracks. Know where I can find it? All the research I've come up with says it was written for the commercial itself. They have a sound that takes me back to childhood. By the way, I love your blog and that you include video. I blog at if you ever want to check it out. Thanks for the Joey Ryan and the Inks post! The Soul Corner - "You're No Good"
New song - Joe Henry "Odetta"